Dianabol is the most popular oral anabolic steroid. Learn how to buy Dianabol online whilst remaining legal and avoid being scammed. Dianabol is perhaps the most popular anabolic steroid known in the world. It is also perhaps the second most widely used anabolic steroid as well. Therefore, it is a highly abundant product across the market found almost anywhere in the world. However, at the time of this writing, it is very rare that one would be able to locate any legitimate Western pharmaceutical grade Dianabol products. This is due to the fact that it is long since Dianabol has held any significant medical value, and the majority of Western anabolic steroid production in the early 1990s was halted entirely, due in response to the anabolic steroid mass hysteria and legislation in the United States at the time. Legitimate pharmaceutical grade Dianabol is not known to exist in North America or in Western Europe. Those seeking to buy Dianabol will have much better chances locating pharmaceutical grade Dianabol products in areas such as Eastern Europe, Asia, and to a lesser extent, South America. Those who wish to buy Dianabol will often be confronted with two major choices: pharmaceutical grade products, and underground lab (UGL) products. Pharmaceutical grade products are products manufactured by legitimate FDA-approved (or any equivalent) pharmaceutical corporations. 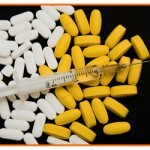 The products manufactured by pharmaceutical companies are quality tested and controlled, and designed for human use. Their purity, quality, dosing, and sterility are guaranteed. On the other hand, underground labs are unapproved labs set up designed to produce almost exclusively anabolic steroids. The conditions of these laboratories can range from a person’s basement or garage to full pharmaceutical grade facilities. The advantage of UGLs over pharmaceutical grade is usually only that of cost and quantity. UGL prices of products are commonly far lower than that of pharmaceutical grade, but the negative side of this is the fact that quality is never guaranteed due to little to no quality control. The decision on which products to purchase Dianabol from is ultimately up to the user and their judgment. First to be looked at will be pharmaceutical grade products. British Dispensary, located in Thailand, produces Dianabol as Anabol tablets and is known to be very popular. They have a history of being quality products and a history of popularity. As such, counterfeiting and fakes of this product are a large concern and as one would expect, special security codes and mechanisms (such as hologram stickers, imprints of emblems on the tablets and the bottle itself, etc.) are now used on every bottle of tablets. As one would also expect, counterfeiters also duplicate these exact security measures with accuracy as well, although various faults can be found on them in comparison to the real product. Each Anabol bottle provides 1000 yellow tablets of Dianabol dosed at 5mg each. There also exists 10mg tablet variants of Anabol known as Anabol 10, in a yellow and white package (smaller) with tablets that are exactly identical in size and shape to the regular Anabol tablets, but are yellow instead. Thailand is also the home to Body Research / March Pharmaceuticals, a company that produces Dianabol tablets shaped as small blue hearts. Methandon and Melic are also Thai based, and provide bottles of 1,000 pink pentagonal shaped tablets (very similar in appearance to Anabol talbets). However, Methandon tablets are white in color and have the letters ES in them. Users who wish to purchase Dianabol from Eastern European countries can find it first in Russia and the Ukraine. Dianabol in Russia can be found in a generic form produced by Akrikhin (spelled in Russian as Akpnxnh) in a purple box. The tablets are in 10 blister pack strips with 10 tablets each strip. Once again, this is a regularly counterfeited and faked brand, but the positive note is that the counterfeits are known to be of very poor reproduction where tablets are often packaged loosely in bottles. There also exists a Ukrainian variant of these, which have been mistook as counterfeits in the past but are actually legitimate product. Next in the Eastern European sphere is Romania, where the company Naposim produces white boxes containing blister pack strips with 10 tablets each strip. Tablets are triangle shaped with sharp tips, and manufacture dates and lot number stampings are found on each end of the strips. Poland is home to Metanabol, which provides tablets in strips of 20 tablets. Balkan Pharmaceuticals is located in Moldova, and produces a Dianabol product known as Danabol, which is provided in blister strips of 20 tablets per strip. Danabol can be found in 10mg and 50mg variants. This is the extent of the most common and popular pharmaceutical grade Dianabol products. UGL products are vast and diverse, as literally hundreds of underground labs exist throughout the world everywhere. As such, it is impossible to list all of the different variations of underground Dianabol product here. The cost of those looking to buy Dianabol is a fairly pleasing one. Because of the popularity of Dianabol, and the cost to benefit ratio, it is a fairly cheap compound to produce. Therefore, prices on the market are generally quite steady (even between pharmaceutical grade and UGL). The only major price differences can be those between in-person ‘gym floor’ prices and many internet website prices (mostly websites that do not set minimum order amounts). One must remember that price is also dependent on the concentration of drug per tablet (for example, Dianabol can be found in the following mg per tablet: 5mg, 10mg, 50mg, and even 100mg). Therefore, for the purpose of describing prices here, it will be done as price per mg instead of the usual price per tablet. In-person prices of Dianabol can easily be bought for $1 – $1.50 per 50mg (in other words, $0.02 – $0.03 per 1mg). Internet sources that do not restrict buyers to minimum order amounts typically sell Dianabol in the more expensive range for approximately $2.8 per 50mg (in other words, $0.056 per 1mg). This is also the general price range online for pharmaceutical grade Dianabol, such as Anabol by British Dispensary. 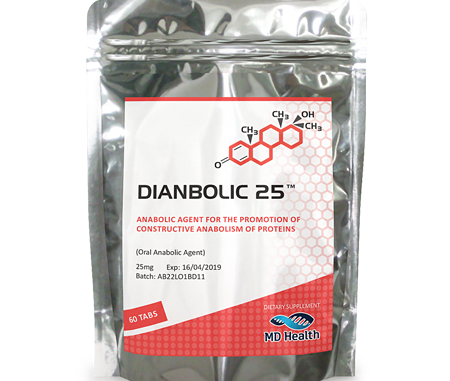 If you want to reaming legal and side effect free, we suggest using our sponsors who sell a powerful Dianabol alternative called DIANBOLIC 25. You can buy this anabolic here.